FootJoy has announced the launch of its new Spring/Summer 2018 Performance Golf Apparel range, with four new colour stories: Infuse, Venture, Revere, and Spirit, supported by a refreshed Essentials line. A mix of both vibrant and classic colourways are offered across all four of the new stories, with much-loved items, such as the ‘Chill-Out’ layering pieces now available in 13 different options across three distinctive styles. 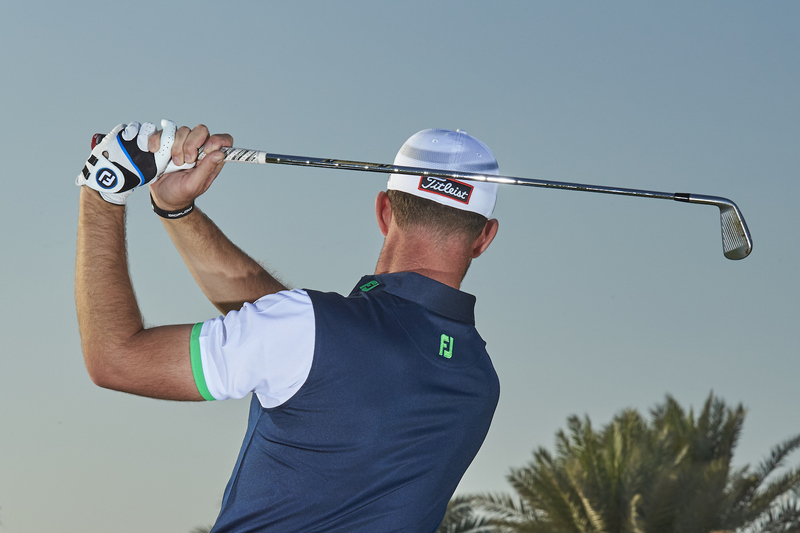 The latest in performance fabrics have been used to ensure that the golfer remains comfortable in a range of weather conditions and unrestricted throughout the swing. Opening with seasonal colourways of lavender and green complemented by both navy and white, the Infuse collection sees several fresh polo shirts added to the FJ line-up for 2018. Featuring both classically styled pieces, as well as those with a more modern twist, the Infuse collection presents options for all golfers, including a navy and white fleece hoody, perfect for both on and off course use. the Venture collection. 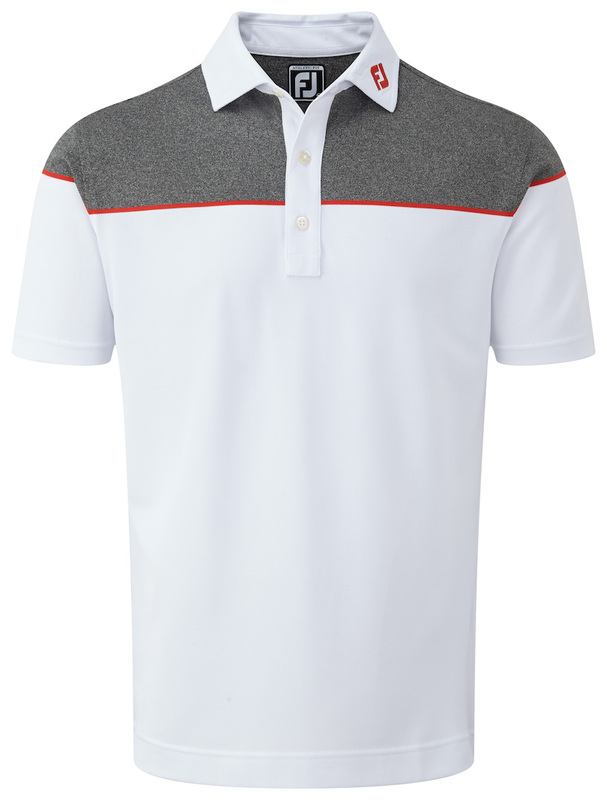 With splashes of red, paired with both charcoal and white, the design details of the garments are picked out with colour and highlighted throughout the range, notably in the Colour Block Stretch Print which sees red piping across the chest, as well as a red FJ logo on the collar. A vibrant palette of cobalt blue and yellow is accented with both black and white within the Revere collection, creating the brightest range within the Spring Summer 2018 line-up. 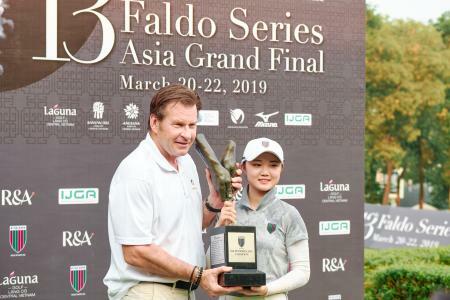 The collection again showcases FJ’s ability to create garments for all golfers, with several of the brand’s most modern pieces including the Stretch Pique Flower Print polo, pairing seamlessly with more understated items such as the Wool Blend V-Neck Pullover. The final colour story within the Spring Summer 2018, Spirit, pairs light blue and heather grey with white and navy to create a fresh, clean collection. 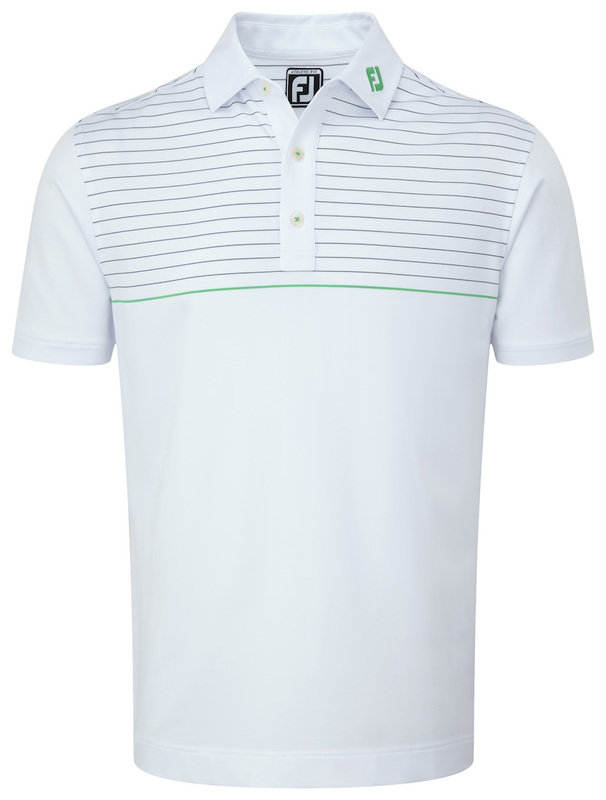 From the subtle detail of the light blue Tonal Heather Striped Lisle polo, through to the cleanly styled Performance MT Lite Slim Fit Shorts, the Spirit collection sits perfectly alongside key items from the Essentials collection, to allow golfers to build a full, perfectly-coordinated wardrobe of clothes for the season. The FJ Essentials Collection has been strengthened for Spring/Summer 2018 with the addition of several brand new pieces, created to perfectly compliment the Infuse, Venture, Revere and Spirit seasons. Standout items include the Heather Pinstripe Chill-out which builds upon the much-loved silhouette from previous season with the addition of a chest zip and a heather-textured pinstripe design, available in four colourways. 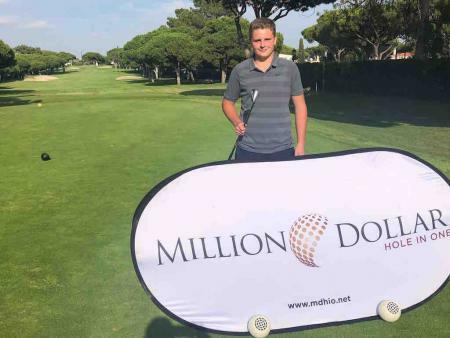 Given the unpredictability of UK weather, FJ have been keen to create clothing suited to the season, including the Thermolite Long Sleeved Smooth Pique Polo. 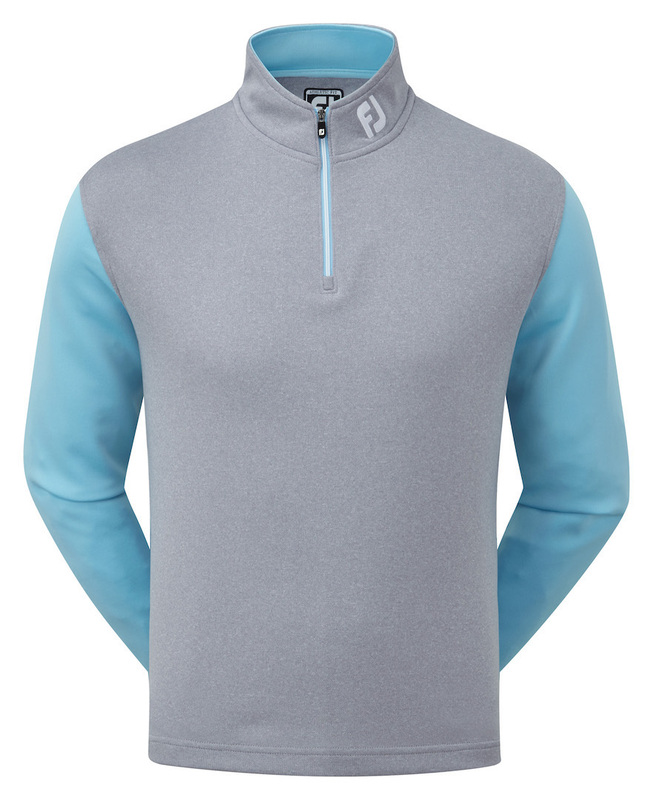 Warm enough to wear without cover on brighter days, the garment works equally well when layered below one of FJ’s mid-layers to keep the golfer comfortable, no matter the temperature. FJ have once again worked with their in-house design team to craft a Spring/Summer 2018 range perfectly suited to the women’s game. 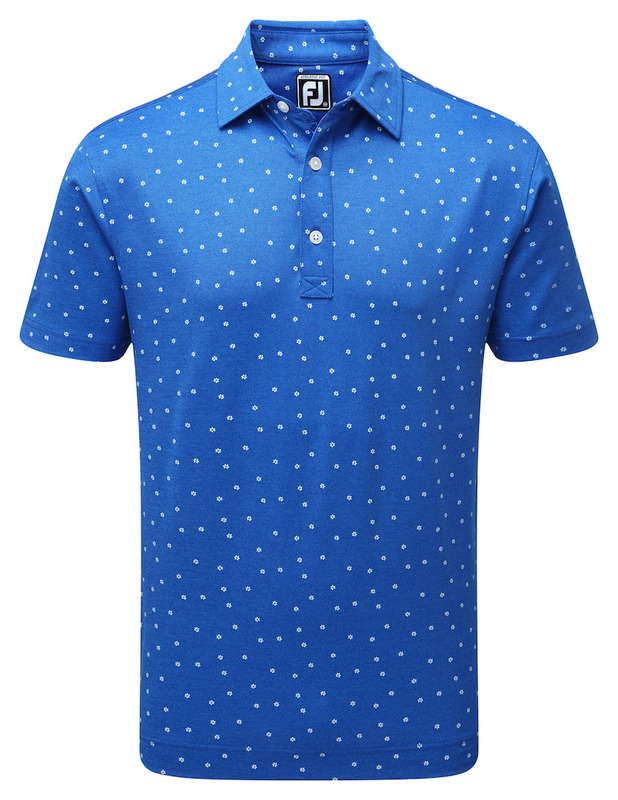 The designs offer golfers the choice of several necklines and sleeve-lengths across the GolfLeisure range with new patterns including printed dot designs and colour-blocking available in both brighter and more traditional colourways. The range continues to cater for women both on and off the course with the enormously popular Full-Zip Hoody carrying through into 2018, alongside a more considered selection of vests, Chill-Outs and waterproof outerwear than ever before. Completing the Spring/Summer 2018 collection is a wide choice of Trousers (available in both standard and 7/8ths length), Skorts and Shorts, created to blend perfectly with the full GolfLeisure offering.